My first snake encounter at the farm was a Wolf Snake. On paper, it sounds like it could be a scary creature of the night. It has backwards facing fangs! It’s nocturnal! 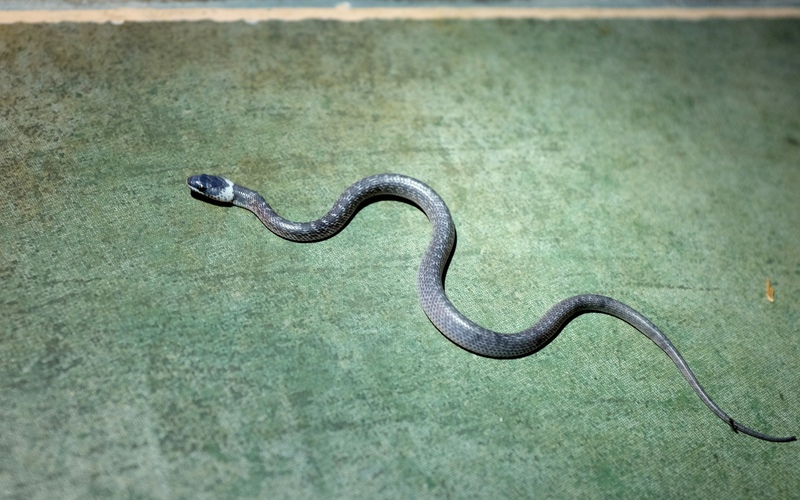 In reality, it is a very small and harmless snake that eats lizards and cockroaches. That evening, the moon was so big and so bright that it lit up the sky. Cottage by moonlight. Photo by Tonji Ramos. Barn Swallows! At least 40 of them swooping through the air. They started off in front of the cottage, swept over the roof, and then moved over to the left side of the cottage. I was cheering them on, because I think they are responsible for our current, rather fly-free status! Go Barn Swallows! Swallow those flies! Some wasps were slowly building a nest on the top corner of our kitchen door. I was hoping that they were harmless, non-aggressive wasps so I could just leave them over the door to repel flies and ants. When I’m at the farm, I automatically go into conservation mode and am reluctant to harm even wasps. After some internet research and an inquiry on the Philippine Biodiversity Net group on Facebook, I had to accept that my wasp nest as repellant was a bad idea. Wasps will sting if they feel threatened. Still, I didn’t want to kill them. I just wanted them to rebuild in a more suitable, low traffic area. Wasps are considered beneficial insects. They pollinate plants and eat caterpillars, larvae, and other insects. The recommended technique for driving away wasps is to smoke them away. Our caretaker Ruel decided to just knock down the nest with a stick instead of using smoke. 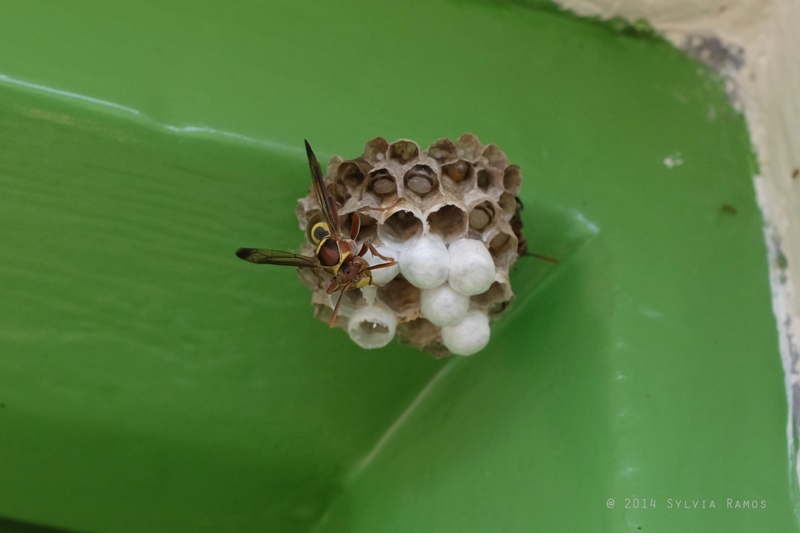 About an hour after he knocked down the nest, the wasps came back with reinforcements! Our pair of wasps became 4 wasps, back at the same spot of their old nest! We used the smoke technique after that! And here is a tiny feather that I found in the kitchen. Another surprise that turned up when I opened up the house. 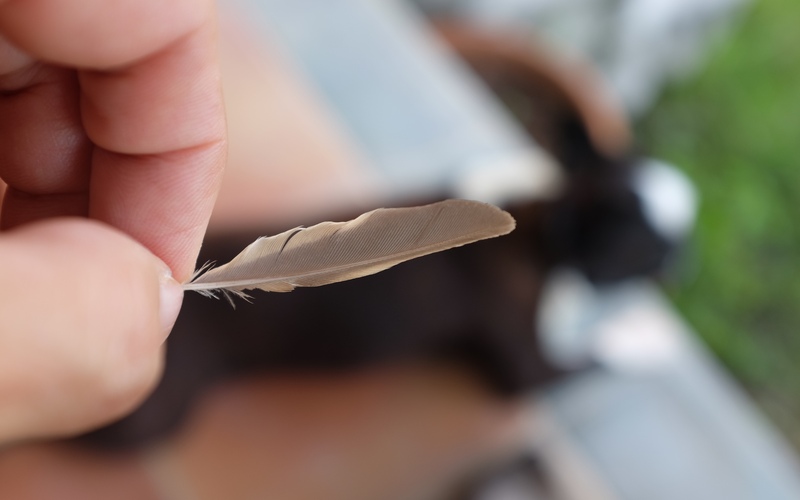 It’s probably from a Eurasian Tree Sparrow. I wonder what I’ll find next! Sounds like a simple but beautiful way of life down there. 🙂 I hope to visit this place one day! Hi Leo! Tell us when! That’s definitely the appeal, that it’s so simple. Thanks for reading! Hi! Your farm sounds amazing. Having a piece of land to form with your own hands (and philosophies) must be great! Thanks! Getting a farm has turned out to be one of our best decisions ever. Quite satisfying, even if it’s on a small scale. 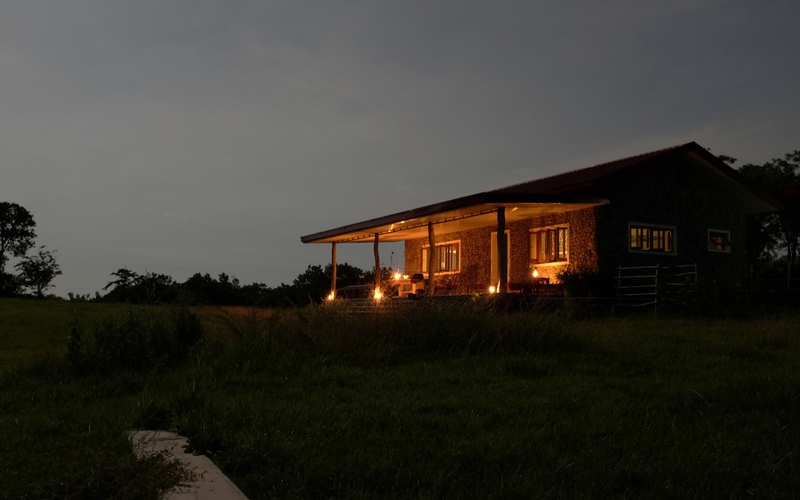 The bigger dream is to do a land trust project on a bigger scale in other parts of the country.